The New York Post has now picked up the whip with a story headlined, WPP's Enfatico is Emphatically Trashed. These headlines just write themselves, don't they? Gnarly old fucker...uh...veteran ad exec George Parker, who has worked on the Dell account in the past, is quoted in the article, saying, "Enfatico has had the account for nine months. 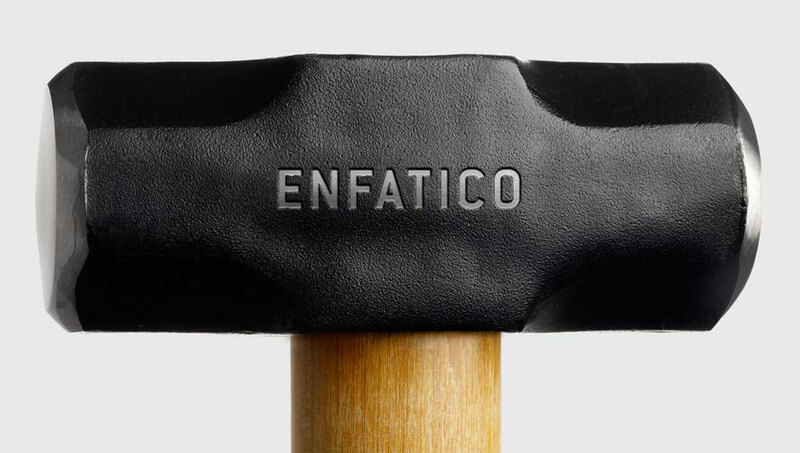 The only ads they have run have been for Enfatico." It's certainly a Herculean effort to tie together an account previously handled by 800 agencies across the globe. Kudos should go to anyone for attempting that feat but it doesn't change the fact Enfatico sure seems like a Titanic waiting to happen. I'm not so sure. It may go that way, but we really don't know what's the cause of the delay. It could be the client. Maybe Dell has changed their mind often. Maybe there have been long delays in waiting for feedback. Who knows? At the end of the day, it's easy to mock Enfatico since their only client is Dell. It's easy to see that they haven't produced anything in 9 months. But what we might not be seeing is tonnes of work in the background, being thrown away or delayed for reasons unknown. Or, maybe they're incompetent. I just have a hard time accepting that as a full answer. A mouse running in its wheel is a lot of work too.